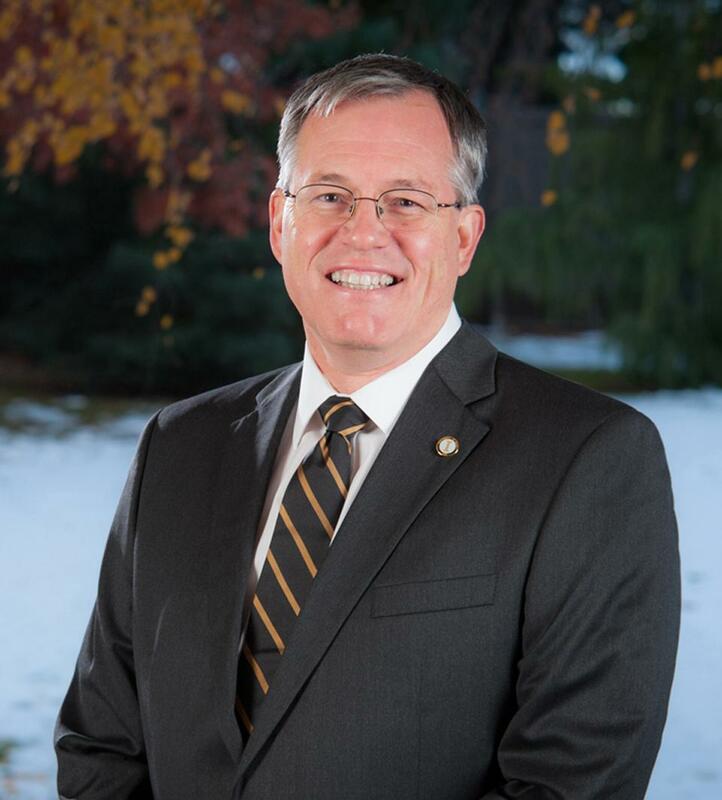 UPDATED: Fri., Nov. 3, 2017, 10:08 p.m.
University of Idaho President Chuck Staben will be staying at the UI for the time being. Staben was one of five candidates for the open president position at the University of New Mexico in Albuquerque, but he was passed over by the UNM board of regents in favor of Garnett Stokes, who has previously served as provost and executive vice chancellor for academic affairs at the University of Missouri. She is the first female president in UNM history. Stokes’ selection followed a 10-month search by a 22-member committee, according to a news release by UNM. Stokes was selected by the regents after three weeks of public engagements between the finalists and members of the university community, as well as meetings with UNM administrators and the regents. Stokes accepted a five-year contract with an annual salary of $400,000. Staben, who began his presidency at the UI in March 2014, interviewed at UNM on Oct. 17. Staben told the Daily News he had applied for the position for “personal reasons” and declined to expand. Staben, a former provost at the University of South Dakota, took over the presidency at the UI after former President Duane Nellis accepted a position as president of Texas Tech University. Former UI law school Dean Don Burnett served as interim president in between. More than a year after accepting the position, Staben and his wife, Mary Beth Staben, purchased a second home in Boise, where she could continue her career as a physician at St. Luke’s Boise Medical Center. Staben spent much of his time in Boise – four days a month on average – often appealing to the Idaho state Legislature for university funding. Since taking the reins, Staben has focused on increasing enrollment by 50 percent by 2025. Also last year, Staben faced backlash from Vandal football fans when he announced UI would drop from the Football Bowl Subdivision to return to the Football Championship Subdivision and play in the Big Sky Conference in 2018. Published: Nov. 3, 2017, 7:52 p.m. Updated: Nov. 3, 2017, 10:08 p.m.